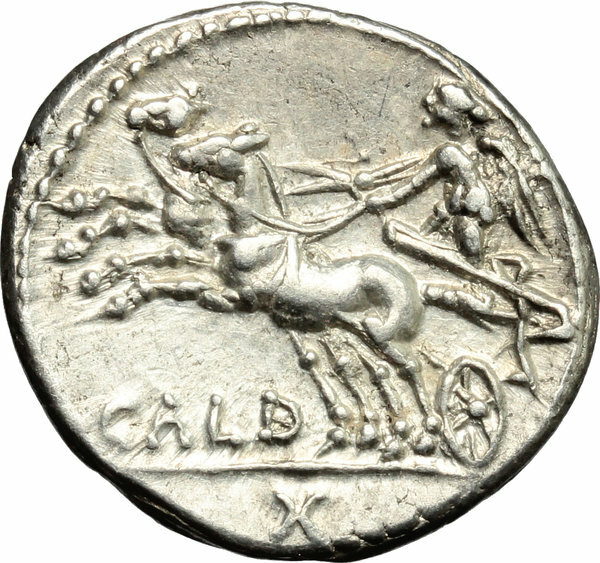 Coins 226 C. Coelius Caldus. 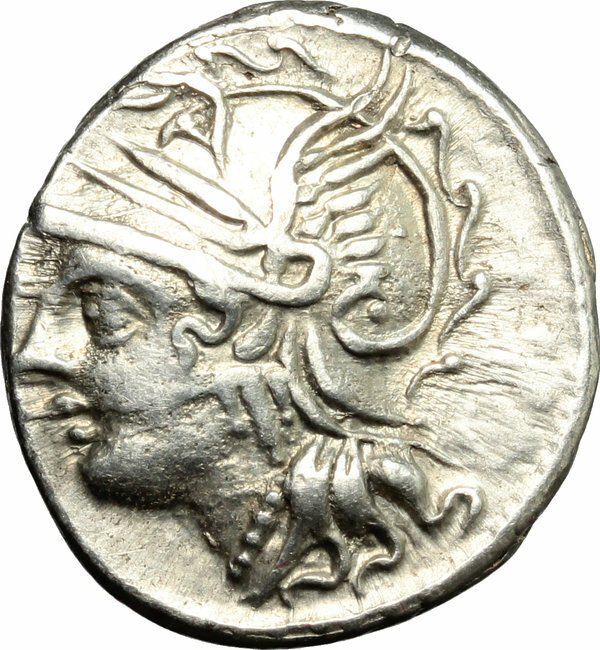 AR Denarius, 104 BC. D/ Head of Roma left, helmeted. R/ Victoria in biga left; holding reins. Cr. 318/1. AR. g. 3.94 mm. 19.00 About EF.